KIKO'S HOUSE: Can A Compromised Trumpkin Stop Mueller's Russia Investigation? Yes, But . . .
Can A Compromised Trumpkin Stop Mueller's Russia Investigation? Yes, But . . . If there is anything surprising about Donald Trump's appointment of Matthew Whitaker, a compromised conservative loyalist and crackpot who has called Robert Mueller's Russia scandal investigation a "lynch mob," it is that the president barely waited until the midterm election polls had closed to lower the boom on Jeff Sessions and accelerate the slow-motion constitutional crisis that has engulfed his presidency from the beginning. "So I could see a scenario where Jeff Sessions is replaced with a recess appointment and that attorney general doesn’t fire Bob Mueller, but he just reduces his budget to so low that his investigation grinds to almost a halt," Whitaker said in a revealing CNN interview in July 2017. On Wednesday, the former U.S. attorney from Iowa became Trump's acting attorney general. 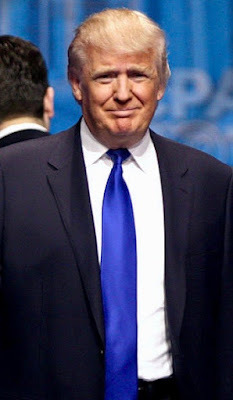 The reality is that at Trump's direction, Whitaker will try to cut off Mueller's head, not starve his investigation, which seemingly would put an end to the special counsel's 18-month investigation into whether Russia interfered in the 2016 president election by cybersabotaging the Hillary Clinton campaign (which it unquestionably did) and whether the Trump campaign colluded in that effort (which it unquestionably did). The question is whether Trump can succeed in so blatant an extralegal effort to eliminate the greatest threat to his presidency. The answer is that he may be able to do so at first, but not in the long run. 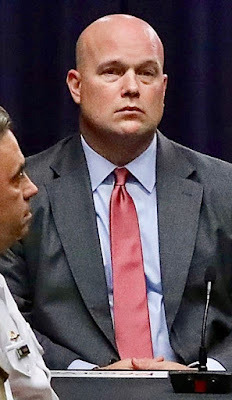 Whitaker -- who takes over from Deputy AG Rod Rosenstein now that recused AG Sessions is spending more time with his family -- by all rights also should recuse himself because of his outspoken opposition to Mueller's probe and friendship with Trump national campaign co-chair Sam Clovis, who has mentored Whitaker, was the handler of Mueller-indicted George Papadopoulos and has been caught up in Mueller's investigation. In fact, the appointment of Whitaker on an acting basis is a dodge to avoid the scrutiny he or any other nominee for AG would face during confirmation hearings. It is a violation of the Constitution's Appointment Clause, which requires so-called principal officers of the United States to be nominated by the president and confirmed by the Senate, and probably is unconstitutional because a Senate-confirmed individual already was available -- Rosenstein. Whitaker's legal views are beyond the pale, including his opinion that Marbury, the foundational case of American constitutional law, is the worst decision in Supreme Court history, which as Ruth Marcus wrote at the WaPo, is like a physicist denouncing the laws of gravity. To no one's surprise, Whitaker said on Thursday that he will not recuse himself, and so he will be able to interfere at will with the investigation that threatens to topple Trump. "What kind of mischief could be made by someone hostile to the Mueller probe and seeking to protect the president and his allies?" asked the estimable Susan Hennessey and Benjamin Wittes at Lawfare. "The short answer is a whole lot." Although the special counsel regulation under which Rosenstein appointed Mueller grants him substantial day-by-day independence, Whitaker could indeed starve the investigation or fire Mueller "for cause" such as misconduct. But because the special prosecutor has acted with probity, that boat won't float. More likely is that Whitaker could tell Mueller to stop investigating a particular facet of his investigation (like the Trump family's personal finances) or refuse requests by Mueller to expand his investigation and then try to fire him for cause if he didn't accede. Under the regulation, if Whitaker were to block any of Mueller's actions, Congress must be notified, and this is where things could get very interesting. Democrats do not take over the House leadership for eight weeks, so there is little they can do beyond huffing and puffing. While they are vowing to investigate whether Sessions's ouster was meant to interfere with the special counsel, their threats won't have any teeth -- which is to say subpoena power -- until January 3. After that time, they have several ways to push back against Trump and his surrogate. Hands down the most important would be to make sure that when and if Mueller completes his investigation and, by regulation, would deliver a report about his findings to Whitaker, that report is delivered to Congress and not kept secret. If Whitaker refuses to share the report, adding a new wrinkle to Trump's persistent efforts to obstruct justice, the now Democratic-led House Judiciary Committee could subpoena it and, it is hoped, use it as the foundation for impeachment proceedings while making it public so Americans are able to judge Trump's cozy relationship with Vladimir Putin for themselves. Whitaker's refusal would trigger a legal battle royal if the White House fights the subpoena by asserting executive privilege, and the matter almost certainly would end up before the very Supreme Court that Whitaker has repeatedly criticized. 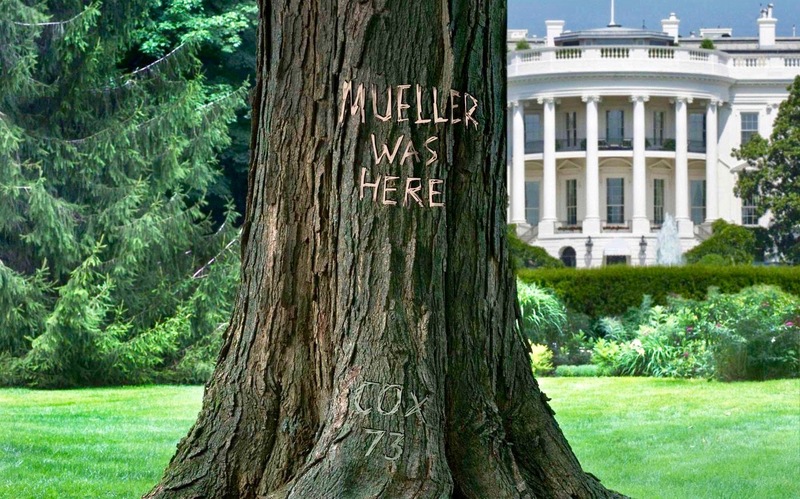 Despite the deeply conservative bent of the court and even with Trump poodle Brett Kavanaugh on board, I believe there is a decent chance that Mueller would prevail there. This is because the Supreme Court, despite a mixed record under Chief Justice John Roberts, has tended to uphold precedent. In any event, Mueller's work product to date -- some 35 indictments, a slew of guilty pleas and one criminal trial -- would be protected. Paul Manafort will not be untried and unconvicted, while litigation already in progress such as the sentencing of Michael Flynn or continuing investigation of Michael Cohen and the Trump Organization by federal prosecutors in New York will continue. Only the courts have the final say on what happens in those cases. Meanwhile, there is a little-discussed wildcard beyond -- or before -- Democrats can really push back: Mueller could go to a federal judge and seek an injunction that would stop Trump in his tracks. 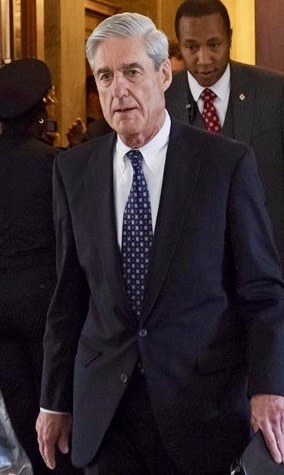 Mueller could argue that it is in the public interest, or even a matter of national security, that he be given injunctive relief to continue his investigation. He would be able to do so, at least temporarily, while the federal judge decides the issue on its merits. With the lower layers of the federal judiciary being friendly to Mueller, it is probable he would get relief, dragging the matter out as appeals are filed. The public-interest argument is Mueller's hole card, and if this battle also ended up before the Supreme Court, I again believe there is a decent chance that he would prevail. But before when and if any of this happens, America finds itself at a profoundly dangerous moment. Its democracy is under attack and arguably only Robert Mueller can check that. Thank you for addressing the question I had from your proceeding blog about "what happens or can happen between now and January 3rd?!?" Add my thanks! Good to hear about what can be done to stop Whitaker and the present occupant of the Oval Office now.